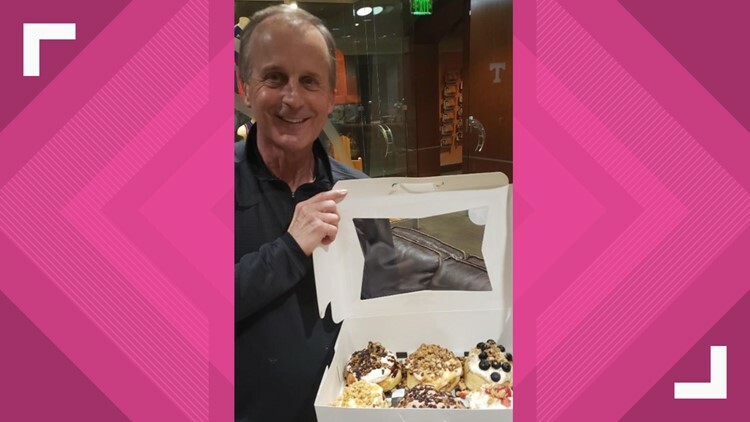 They helped "sweeten" the pot to entice Barnes to stay on Rocky Top. 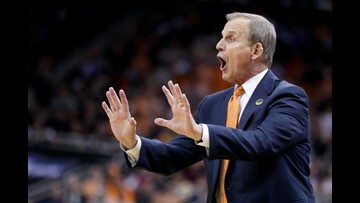 The All-American says it's a "win-win" scenario, no matter what he decides to do. 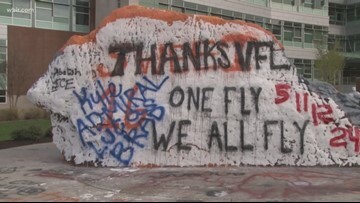 Vols fans are excited for the coach to keep on keeping on with the Vols. 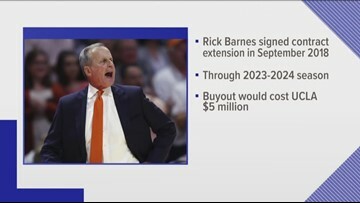 Barnes signed a contract extension with Tennessee last fall, giving him an annual salary of $3.25 million, the second-highest in the SEC, behind Kentucky's John Calipari. 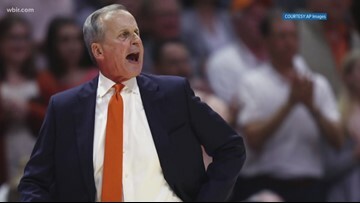 The Bruins have been in the market for a head coach since parting ways with Steve Alford on Dec. 31. 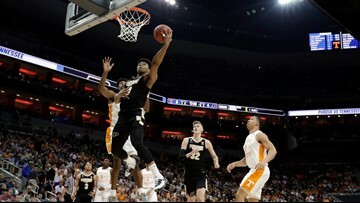 Williams, who has already been coined a unanimous first-team All-American by the NCAA, was one of 10 players selected for the team. 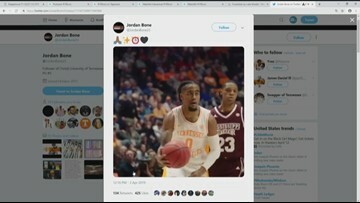 The junior could have one more season with the team but he announced on Twitter he's declared for the draft. 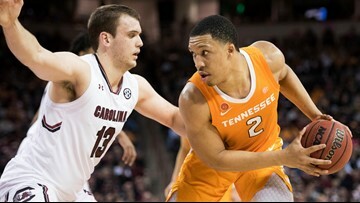 The Vols aren't the only ones playing basketball on Rocky Top. The managers are one of the best teams in the country and have a chance to compete in the managers Elite 8 in Minneapolis. The only problem... they need the funds to get there. 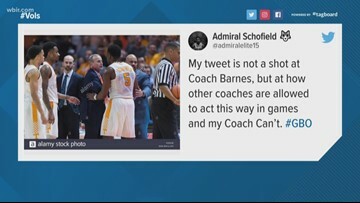 Schofield tweeted this earlier this morning, "My tweet is not a shot at Coach Barnes, but at how other coaches are allowed to act this way in games and my Coach Can't #GBO"
They made it to the Sweet 16. 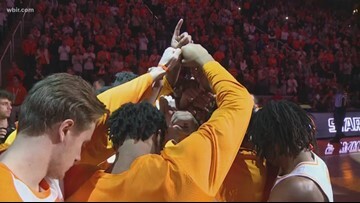 After a tough loss in the Sweet 16 -- Big Orange country has nothing but encouragement for the Basketball Vols. 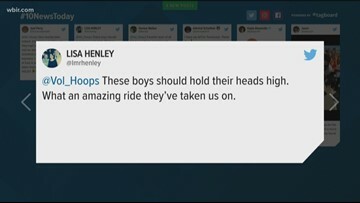 Despite coming up short last night, the team's fans are thanking them for a great season. 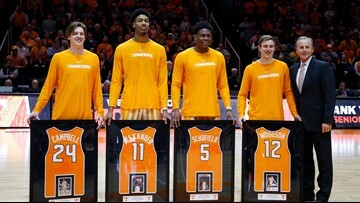 Four seniors suited up for the Vols for the final time on Thursday night. 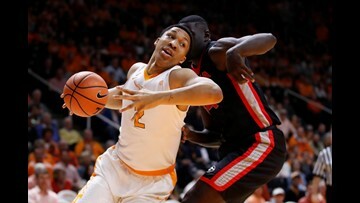 Hear from Kyle Alexander and Admiral Schofield. 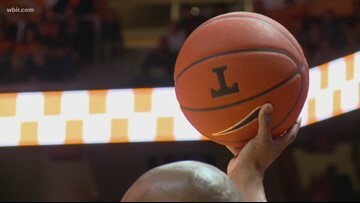 Hear from players after the Tennessee basketball season came to an end. 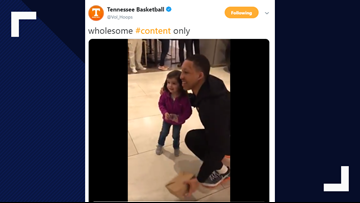 She got to meet Grant. But she wanted to know where Jelly was.